When it comes to dental health, the more knowledge that you have, the better. Because you may not get too many chances to talk to your dentist in person, it’s important to be prepared with any inquiries that you have. The following are a few questions that may be beneficial for you to ask during your next dentist appointment. 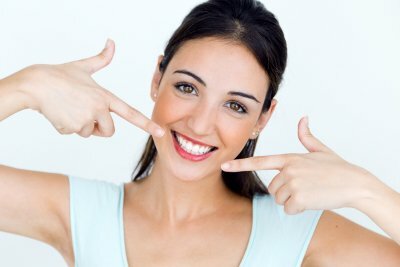 How healthy is my mouth? If you’re at all concerned about your oral health, then you can benefit from talking to your dentist about the state of your teeth and gums. Learn about potential areas for improvement, what you may be doing right or wrong with your oral hygiene methods, and if there is anything that you should be paying particular attention to. Also, do not hesitate to ask any questions you have so you can gain a clear understanding about the health of your mouth. While you’re probably aware of the importance of daily teeth brushing , there may be ways to improve your brushing habits. Your dentist may advise the use of a softer bristled brush to help protect your enamel, or a specially formulated toothpaste to help with sensitivity. He may also ask you to demonstrate how you currently brush your teeth so he can offer helpful tips. What is the purpose of this procedure and how is it performed? 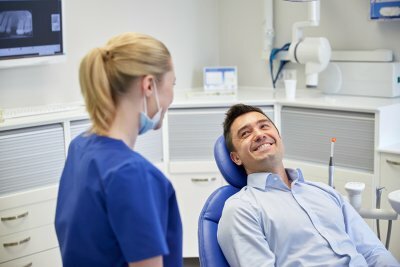 If your dentist has advised a particular treatment to improve your oral health, you should ask as many questions as you would like about its nature. Having a good understanding of why a particular procedure is necessary may help you to take better care of your teeth. Additionally, when you understand the steps involved in your treatment, this can help with any anxiety that you may be feeling about it. If you’re looking for a dentist office near NYC to schedule your next dentist appointment, give Park 56 Dental a call at (646) 783-3529. Our team of skilled dental professionals can help you improve the health of your mouth and learn about options like dental implants. If you lose a tooth or have had to have a tooth extracted, a top dentist will encourage you to consider your options for replacing a missing tooth . Having a gap between teeth can cause a number of problems for existing teeth and gums. Without the tooth in place, surrounding teeth can drift or shift towards the gap. You can lose bone density or experience complications with your gums. Exploring options to replace the tooth can prevent these issues. Continue reading to learn more about your options. A dental bridge is an option for individuals with strong and healthy teeth . A dental bridge is exactly that, a bridge between two teeth. Dental crowns are used on the teeth on either side of the gap and a false tooth fills the void in between. The adjacent teeth need to be prepared by cutting them down. The enamel is removed to make room for the bridge. Dental implants offer a more permanent solution to replace a missing tooth. Using a metal device that serves as the root, the implant is surgically placed into the gum that bonds with the existing bone. Once it fuses to the bone, an abutment is placed and is used to place the dental crown that will take the place of the missing tooth. In cases where multiple teeth are missing, dentures or partial dentures are a viable option. Dentures are false teeth that are custom fit to match existing teeth and fit onto the gums. Using a bonding agent, dentures are held into place and are often indistinguishable from natural teeth. With so many options available to replace a missing tooth, the decision is best made by consulting your dentist and weighing all of your options. There are pros and cons to all of the options, and factors such as time, cost, and healing can influence your decision. To learn more about smile restoration serving NYC , call Park 56 Dental. To make an appointment, call (646) 783-3529. Your smile is important; a good smile can boost confidence and make an excellent first impression when meeting new people. If you are not satisfied with your smile, the top dentists at Park 56 Dental offers a number of options to restore your smile through cosmetic dentistry. Most dental problems can be fixed with the use of veneers or dental implants. Dental veneers are thin custom fit shells that are used to alter the appearance of your tooth. They are made of materials that blend in with your natural teeth and can be fit to adjust the size, shape, and color of your existing teeth. Dental implants offer a solution to a missing tooth or multiple teeth. By implanting a piece of metal that fuses with existing bone, dental implants offer a long-term solution to missing teeth. 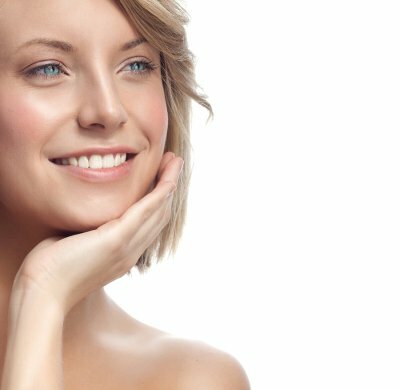 To learn more about getting the smile you’ve always dreamed of, make an appointment with Park 56 Dental today. We were voted top dentist in NYC . Call (646) 783-3529 to learn more.